We don’t just enter your expenses and reconcile your bank account, we provide proactive business advice. If we notice that you’ve paid something twice, you’re paying too much money for something or we have a great idea to make your life easier, you’ll hear from us. We know what you need to know as a business owner based on your industry and the size of your organisation. We also stay up to date on changes occurring in our industry, in technology and legislation. We will keep you updated on things you need to know when you need to know it. 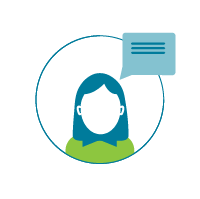 When new software becomes available we either test it ourselves or speak to other bookkeepers to get their feedback on how well it works so that we know whether it would be of value to you.